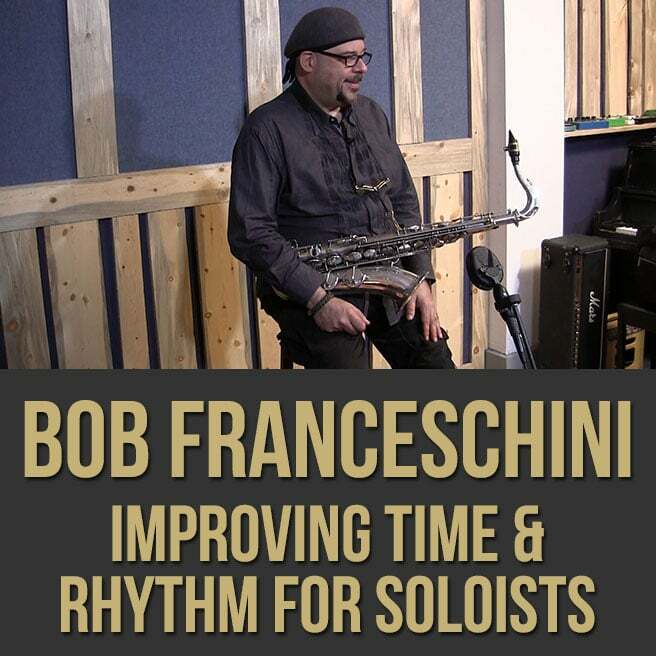 Description: In this "Improving Time and Rhythm" masterclass, renowned saxophonist Bob Franceschini breaks down his method of helping single line instrumentalists strengthen the essential pulse of their improvisations. Bob discusses and demonstrates exercises that have helped him facilitate "good time", which has acted as a foundation to his successful performance and studio career. 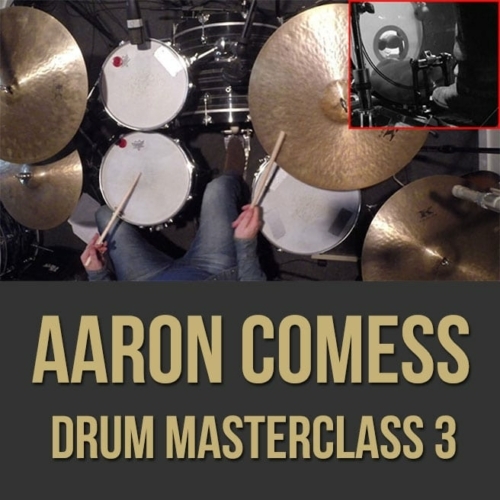 If you want to strengthen your time, time-feel and rhythmic accuracy, this masterclass is for you. 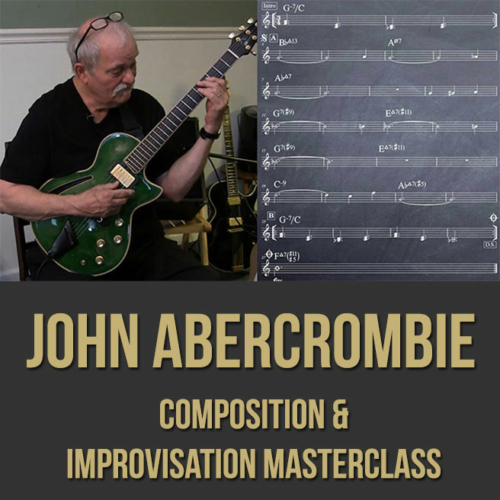 Topics Covered: Time, Time-Feel, Rhythm, Son Clave, Rumba Clave, The Cascara Pattern, Independence, Hearing Rhythms, Accuracy and Precision, Metronome Exercises, Accent Points, Playing Behind the Beat, Playing Ahead of the Beat, Polyrhythms, Groupings, Etc. 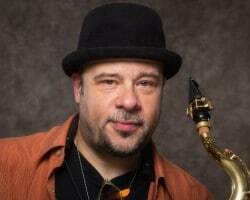 Bob Franceschini (born 1961) is an professional American jazz saxophonist, songwriter, and arranger. He also plays clarinet and ethnic flutes. 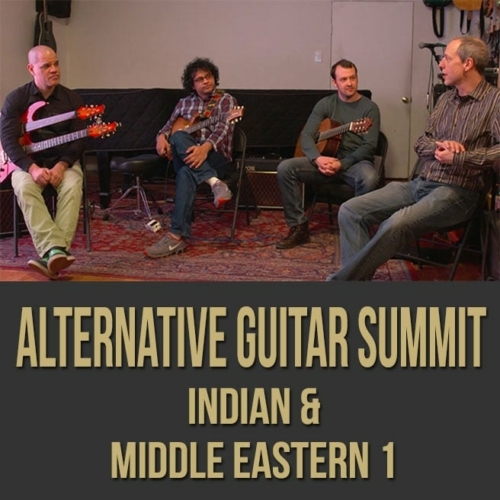 He has appeared on more than eighty albums of other recording artists, including those of Mike Stern, Paul Simon, and Willie Colón. He, Bob Reynolds and Bob Hemenger have hosted 2 saxophone retreats in Nashville called the Inside Outside Saxophone Retreat. He has three kids. Bob grew up in Manhattan New York and started playing music at a young age, he started playing professionally as early as 17-18 with Tito Puente. 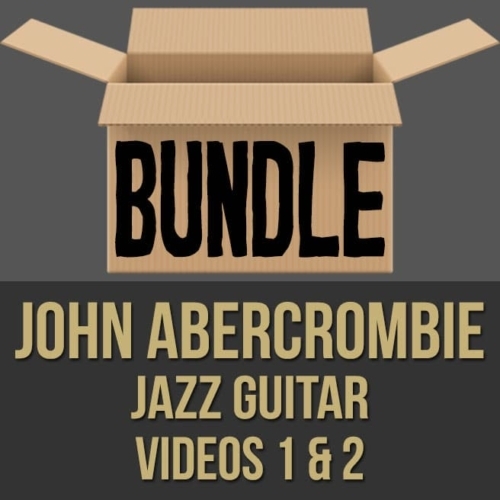 He now tours worldwide with various bands including the Mike Stern Band, Willie Colón, Dennis Chambers and Victor Wooten as a trio, and many more. He’s very popular in places like Europe and even Japan. He also guest teaches at Victor Wooten Camp For Music and Nature. In addition to composing and arranging Jazz and Latin Jazz, Franceschini has performed as a touring and recording sideman with Mike Stern, Paul Simon, Celine Dion, Tito Puente, BeBe Winans, Ricky Martin, Lionel Richie, Eddie Palmieri, Victor Wooten and many others. He plays all over the world but lives in the U.S. In 2001 Franceschini performed on Mike Stern’s Grammy Nominated album Voices.